Here is a cow elk call that I made for a friend to go to Colorado. 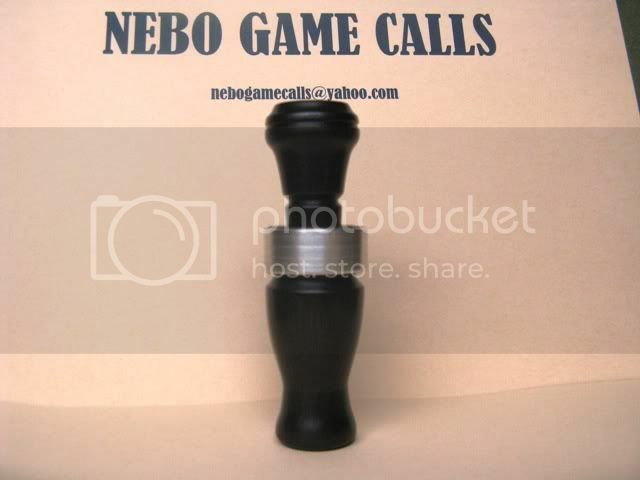 Cow elk call, bois d arc, on left. 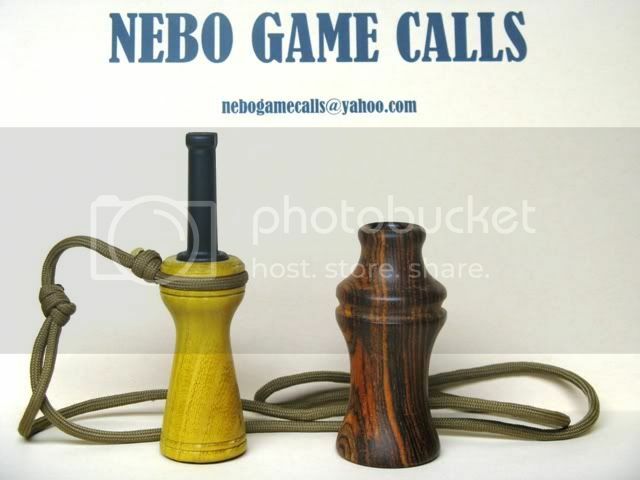 Predator call, cocobola, on right. Couple of sharp looking calls, but the elk call is very very nice! I really like the design of it. ;) Good lookin' callers. Hope your friend has some luck!